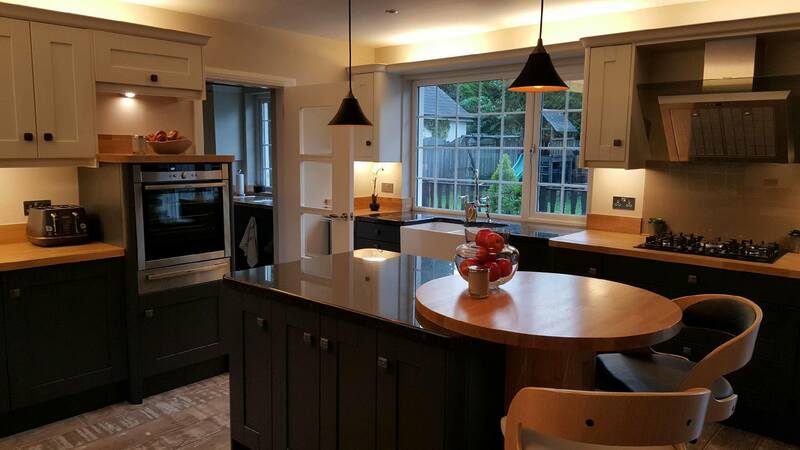 This a two tone Madison painted solid wooden kitchen with black granite and solid wood worktops. The wall units are painted in light grey and the base units are painted in graphite. The customer has done a split worktop with black granite and solid wood. They have also went for a eye level Neff oven and warming drawer.